2K today unveiled the evolution of the NBA 2K franchise with the introduction of the first live world inside NBA 2K18! The Neighborhood is unlike anything ever seen in NBA 2K or any other sports career mode before. MyPlayer's live in a neighborhood environment with several locations in the city blocks to visit, flush with other MyPlayer's and characters with whom to interact. Experiences and ratings revolve around player actions, whether it’s running into Kyrie Irving while getting a shave at the barbershop, competing on the courts in The Playground, getting inked at the tattoo parlour, listening to the latest beats or showing off the latest gear to friends while strolling the block. 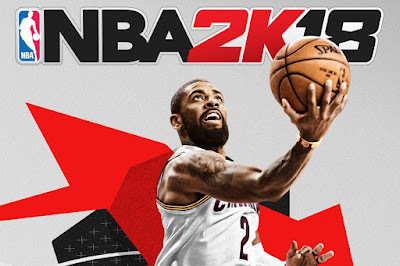 A user’s experience is entirely shaped by how they compete, allowing them to reap the rewards of playing NBA 2K18 the way they enjoy it most. NBA 2K18 is also introducing the Road to 99, the overarching meta-game that rewards users for improving their MyPlayer's overall rating, regardless of which modes they choose to play. Featuring a unified badge system across Pro-Am, Park and their NBA journey in MyCareer, their attributes, animations and badges all combine to define their play style on your road to a 99 overall rating.